We are delighted to announce three new additions to our coaching team as we continue to invest for the future at all levels and age groups. Leinster U17 coach Richie Lawrence joins the club from Terenure as adult teams coach, Sunderland native Chris Siddell joins as women’s coach and overseas pro for 2014 is Lucky Peterson from Brisbane, Australia who will be working primarily with the club’s youth teams. These new appointments represent another significant step for the club as it looks to deliver a high quality programme to just under 200 youth members alongside the addition of a sixth men’s team and an expanding girls and ladies section. Head coach, Matt Lunson is understandably excited by the prospect – “The club’s commitment to coaching is fantastic and it’s great to be part of again. I’m particularly excited by the signings as I’ve built up close working relationships with Richie, Lucky & Chris in recent times and am aware of what they will offer the club. I worked with Lucky at South Brisbane CC in 2011 and was impressed with his commitment & professionalism. He will be a terrific role model for all our young cricketers. 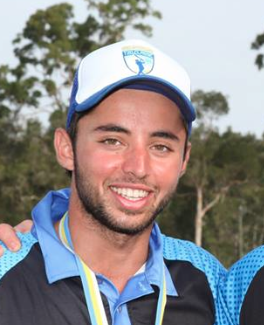 Richie is a proven Division 1 player and we particularly look forward to him sharing that experience with our great group of teenagers as they establish themselves in the 1st X1 over the next season or two.